Out of stock since Tuesday, 5 March 2019. Due back soon. 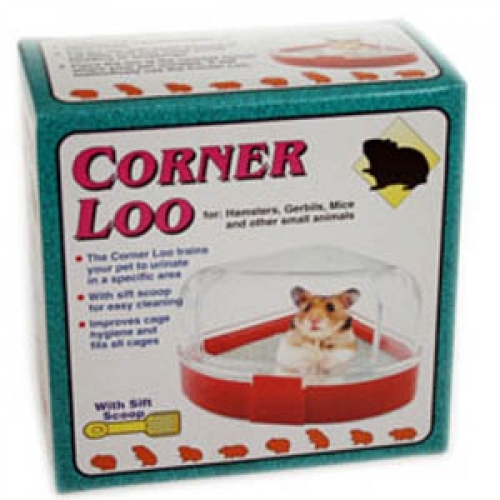 PPI Corner Loo for Hamsters is a practical and secure toilet training solution, taking advantage of a hamster's natural instinct to go to the toilet in one specific area. The corner-shaped design makes it a space efficient litter tray, suitable for placing in most small animal enclosures. It comes complete with a litter scoop. Below are some recent questions we've received regarding PPI Corner Loo For Hamsters, including answers from our team. What do you put inside of the toilet?